Which LKN town is the most debauched and depraved? You are going to have to read to the end to find out. Last week, Spanish software company, Technilogica, released a map using their cartography software that breaks down over 30 million subscribers to the adultary enablement site by location. You can check it out here . So, which LKN town had the highest user base? The answer depends on which way you look at it. Mooresville (5712) had the largest number of users followed by Huntersville (3650). Cornelius (2360) and Davidson (835) were in the middle of the pack. Troutman (350) also had a number of folks apparently dabbling in the site's online activity. That order is about what you'd expect based solely on population. Though "expect" is a relative term here. It is simply stunning (and kinda creepy) there are that many people around who are willing to sign up for a site like this. Even if you believe the site ballooned its numbers with a lot of fake accounts, the numbers are pretty high. Cut it by 90% and you still have over 500 in Mooresville and 360 in Huntersville. So, while Davidson eeks out the "moral victory" with only 7.1% of its population supposedly on the site, one has to ask - what in the world is going on in Iredell county's Mooresville and Troutman!!! With both the highest raw number and highest percentage Mooresville takes the "prize". With Fall just around the corner, the Davidson Community Garden has moved back to its regular Saturday morning schedule. Guess what - it's time to start planting fall seeds and transplants! A group from the Community School of Davidson is coming out Friday to get started on the planting and we'll follow up Saturday. Let's see if between both work sessions we can get six box beds done by Saturday's 11:15 weighing-up time. Fall plants are the same as spring plants and have generally done really well for us: beets, chard (yeah, but let's cut back on that), kale, carrots, lettuce, spinach, broccoli, Brussels sprouts, collards, and cabbage. The DCG regularly donates fresh produce to the Loaves and Fishes food pantry at Ada Jenkins. In recent years this had totalled a full ton annually. Come on out and pitch in if you are looking for something to do Saturday morning. Learn about that Southern staple, ocra. Harvest some beans. Pick a few flowers. This is one of the real gems of Davidson. Nothing brings out this type of action more than land use questions, and Davidson has recently seen multiple acts in this never ending dance unfold at the same time. The just completed fight over the proposed Narrow Passage neighborhood in Davidson’s rural area was one of the more brutal examples in recent memory – that's saying something for a town that is no stranger to planning and land use related controversies. As public as it was, this story also saw aggressive behind the scenes action. In addition to multiple letters to the editor in local publications and passionate speeches at public hearings, those who opposed this project also engaged in a scorched earth campaign that may have ultimately backfired. Rumors were spread in what can best be described as a good old fashioned whisper campaign against those involved in the project as well as some commissioners. More than one of those emails landed in my inbox. Another act in the political ballet that is “land planing” in Davidson also seems of have wrapped up in recent weeks. This one was even less public outside of some coverage in this column. However, it involved multiple developers, home owners associations, and even attorneys. There were dozens of emails, meetings, and a good bit of swirl around potential conflicts of interest. Readers may remember a piece several weeks ago that asked question “Is there a River Run Phase Six?”. Well, the answer to that question now appears to be a resounding “no”..
For almost 11 months, the River Run Country Club has been pursuing the possibility of carving off some of its golf course property and converting it into single family lots. If successful, sale of these lots would have brought in several hundred thousand dollars to the club. But, there was a catch – or two. The proposed lots were on land designated as golf course and at least partially impacted by floodplain ordinances. As one would expect, neighbors and others were concerned not just on an environmental basis, but also on the precedent it would set for converting land from one use to another without following the correct process. Additionally, this one had the interesting aspect of involvement by the Town Attorney, Rick Kline, on both sides of the issue between the club where he’s a founding member and the town where he’s been town attorney for 39 years. In the end, it appears the town landed where it should have when this idea was originally proposed. According to town planning staff, in order for these lots to be sold, the original planning documents for the River Run development will need to be amended – something that requires approval by the Town Board. The town's Board of Adjustment will also need to approve any building in the flood plane. Both are long-shot prospects, and as a result, the sales signs on the lots came down. These two examples of land planning decision making are opposite sides of the same coin. In the first, town residents were forced to fight tooth and nail to get town hall approval for something that will very likely prove to ultimately be very good for the town. In the second, homeowners struggled against something the town should have stopped right from the start for the very reasons they took nearly a year to arrive at. In both cases, citizens were forced to fight a battle of attrition over many months to get the right answer from town hall. Maybe the metaphor at the beginning was wrong. Southern politics isn't always like water ballet. It’s sometimes more like water polo where you have to claw and scratch until the very end. Bullies usually don't know how to respond when people stand up to them. With that being the case, it will be interesting to see the next move from Cintra/NCDOT/Mercury(?) now that WidenI77.org has blasted back with a blistering broadside to Javier "Mr Who Knows" Tamargo and recent letter accusing the activist group of putting out false information about his project. Here's the link to the group's response and the preceding letter. This kind of response is why the godfather of HOT lanes, Robert Poole of the Reason Foundation, recently said the local resistance the HOT lanes agenda is the strongest he's ever seen. In the wake of Tuesday's expected loss at CRTPO, the release of this response on the same evening should be a vivid reminder to everyone that this fight is far from over and that those fighting it aren't about to back down. BREAKING NEWS: Davidson to vote 'NO' at CRTPO tonight! This is a breaking news story. More information will be added if it becomes available. In a phone call from Davidson Commissioner Brian Jenest early this morning, he indicated that Davidson will be a 'no' vote on the STIP at tonight's CRTPO meeting. At last week's Davidson Board meeting he indicated that he would be a 'yes' vote on this issue. He explained the change as not so much a change in his position as just a change in his vote. His position has been that he supports the STIP, but does not support this paricular plan for the managed lanes. When asked why he was going to change his vote, he responded that while he is not typically supportive of "protest votes' he recognizes how widespread the public opposition to this particular plan has become. Also, he mentioned what occurred at last night's Lake Norman Chamber meeting. At that meeting he heard "level-headed businessmen" open to alternative plans that may involve the managed lane concept. For him, that opened the door to other possibilities and justified the change in his vote. While Davidson's single vote on the CRTPO board may not make a difference in the ultimate outcome of the vote, it is great to see the town's representative standing up for what the people he represents actually want! Ron Julian loves HOT lanes! Where is Jill Swain's outrage?!?! Almost exactly a year ago, Huntersville Commissioner Rob Kidwell sent an email to state legislators asking them to do something, anything, to stop the I77 HOT lanes project. Well, late on the eve of a critical vote at the CRTPO fellow H'ville Commish, Ron Julian, did something similar. In an email to CRTPO reps, Charlotte City Council, the MeckBOCC, and several members of the NCGA, Julian had this to say.
" Ladies and Gentle, As a Representative of the constituents in Huntersville, I ask that you APPROVE the TIP ( Vote Yes ). 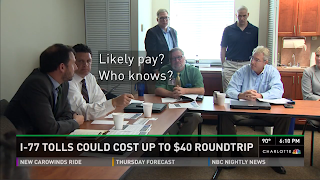 The vast majority of constituents want road improvements now and the TIP keeps this promise with dollars for local road improvements and additional lanes, yes managed lanes on I-77. My guess is you'll hear crickets from Mayor Swain on this one. She agrees after all. She's part of the HOT Lanes Bucket Brigade that has pulled this monstrosity out of the fire more than once already. Sending Ron Julian to carry a little water since he's not running for reelection is just what a good brigade commander does. Bonus Observation: What caused Ron Julian to change his mind since this video in 2013? In the last post, we mentioned a planned press conference prior to the CRTPO meeting where WidenI77.org would reply to a somewhat threatening letter received from Cintra's man in Charlotte, Javier Tamargo. Dissemination of the letter to influence CRTPO was coordinated with NCDOT. That coordination was managed by former City of Charlotte mouthpiece Jean Meier who now works for Cintra's local incarnation - I77 Mobility Partners. Rather than sending their communications through back channels and away from the prying eyes of the pesky public, they will hold a press conference out in the open. 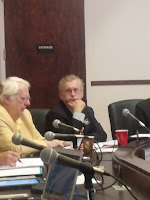 Cornelius, N.C. – (August 18, 2015) - WidenI-77, the citizens group opposing the plan to build High Occupancy Toll (HOT) lanes on I-77 through the Lake Norman area, will make a statement to the press on Wednesday, August 19th at 5:20 p.m. at Government Center, 600 East Fourth Street, Charlotte N.C. The group will take questions after the statement. We hope to see you there. Tomorrow we will email copies of the letter sent to us by I-77 Mobility Partners as well as our response. WidenI77 is a plaintiff in a lawsuit against I-77 Mobility Partners and NCDOT to stop the HOT lane project and is represented by a team of attorneys led by Matt Arnold Esq. of Arnold & Smith, LLC. Well, it looks like Mr "Who Knows" has gotten his nose out of joint. That's the first takeaway from a letter sent last week to WidenI77.org founder Kurt Naas along with State and Local elected officials regarding some financial analysis on the HOT lanes Naas published back on July 24th. Let's just say this. Cintra's Mr Javier Tamargo didn't like what WidenI77.org's Mr Kurt Naas had to say on the financial setup of his HOT lanes deal. In his document, Naas points out a number of ways this project is/may/or could be not in the best interests of North Carolina taxpayers. Tamargo responds by often answering claims different than the ones that Naas was making or by simply saying the equivalent of "no, that's not right" but then providing no real proof why he says that. Maybe most importantly, Tamargo closes with what can best be described as a veiled threat - giving Naas 10 days to retract his comments in writing...the "or else" is implied. This makes the second time in recent weeks that Cintra/I77 Mobility Partners has levied ominous warnings at those who oppose their project. The other was against Diane Gilroy in a story over at the Carolina Journal. Somewhat ironically, Diane Gilroy is the wife of Cornelius Commissioner Dave Gilroy who asked Mr Tarmargo the question on toll rates that elicited the now infamous "who knows" response in the above picture. This all comes on the heals of the release of another anti-toll document on the CharlotteAgenda.com website titled "10 thing you don't know about the toll lanes planned for I77 north". The post has gone viral on a local level receiving over 37,000 page views in a few days. Combine this with the 739 comments received by CRTPO for their upcoming meeting where 720 of the comments were anti-toll. That's according to analysis distributed by Cornelius town staff . It shows 97% of respondents opposing tolls - a stunning figure. Take all of that together and it's clear those who are pushing these tolls on the region should be worried about the rising opposition. Which brings us to the most disturbing part of this letter, how it appears to have been generated and distributed. According to emails obtained via public records requests, the creation and distribution of this letter appears to have been a coordinated effort between the private party I77 Mobility Partners and the state NCDOT. The below is an email sent on the morning of Wednesday 8/12. It's from Mobility Partners' Director of Corporate Affairs to NCDOT officials at the highest levels - including the new Secretary of Transportation, Nick Tennyson. The tone of this email should make it crystal clear to anyone that this is not the first communication on this subject. The level of detail on how this is being communicated shows it to be a highly coordinated effort. See the below timeline for the partial chain of events gleaned from the other emails received via public records. There are likely more emails that would fill in more gaps if one was to keep digging. 11:13am Scott Cole Division Engineer from NCDOT sends to Bill Coxe of Huntersville, Bill Thunberg with LNTC, and a bunch of people in Charlotte including Bob Cook - the main staffer for CRTPO. 4:19pm McAulay thanks Leier for the document saying... "Jean Leier, thank you for the information. If I have questions about reading the document, I will contact you. Again, Thank you, Sarah McAulay"
4:21pm Mcaulay tells Bob Cook to send to CRTPO Members and TCC. 5:43pm Cook emails roughly 50 people involved in CRTPO. Two things to note on Cook's email to CRTPO members. 1. A shocking number of people including many elected officials are using personal emails for government business making them nearly impossible to track. They include some of the biggest pushers of this deal. Ned Curran (NCDOT Board of Transpotation), Brian Jenest (Davidson), and Dumont Clarke (MeckBOCC). 2. Cook possessed the letter for a day and a half before McAulay told him to send it to CRTPO. Who else did he send it to in that time? A records request was not sent to Charlotte, but that would be interesting to know. So, here you have both parties in a public private partnership, Cintra and Governor McCrory's NCDOT, actively working to apply pressure and disseminate information just days before a critical vote at the CRTPO. In fact, they were circulating that letter before its intended recipient/target even received it according to the above timeline. You also have the Chair of the CRTPO and the body's staff, Sarah McAulay and Bob Cook, actively involved in that dissemination. In response to all this, WidenI77.org's Kurt Naas indicated on Saturday evening that there will be a response. He said to be on the lookout for a press conference prior to the CRTPO vote. This should be fun to watch! Bonus Observation: Who is Jean Leier, I77 Mobility Partners Director of Public Affairs and the person at the center of Cintra's pushback? According to her LinkedIn profile, Leier's previous job was as head PR flack for Charlotte's mass transit system, CATS. The one municipality that will get any real benefit from this project through infrastructure paid for by LKN residents has its former mouthpiece working for the P3 contractor. The public/private revolving door keeps turning. Ain't our government grand! Update: See the WidenI77.org response here. We told you earlier this week that Davidson Commissiooner Brian Jenest indicated that he would vote in support of the I77 tolling project at upcoming CRTPO meeting next week. You can check out his performance here on video starting at the 13 minute mark. Here's what we've found out since then. Based on the proposed entrance and exit points in the diagram below received via an FOIA request, Davidson will be supporting this project even though the ramps will be of little to no use for town residents. It was disappointing at the meeting that no other commissioner spoke up on the subject. Since this ramp information was sent out earlier to the towns at the end of July, one can only take their silence to be acceptance. It's doubly disappointing because they had previously indicated they would fight for better usability for the town passing a resolution last year asking the LNTC to pursue better access for the town. Great to have these guys off the street! You'll notice that one of these guys lived in town - the one listed as a "habitual felon". That makes him the worst of the lot. Many think that we in Davidson live in a bubble and nothing bad ever happens here. After all, the town does regularly rank as one of the safest in the state. However, with a guy like that walking around, something bad could happen at any time. That's not meant to scare you. It's meant to point out that our police officers do face dangerous situations and can come across dangerous people on any given night - even here. Next time you see one of them, thank them for doing what they do. The victim, a male and resident of Cornelius, died as a result of a gunshot wound. If you have any information related to this case, please call 704-892-5131 to speak with Sgt. Steve Ingram. Closed meetings, right or wrong, are not a rare occurrence in Davidson, but having two closed meetings at two different locations on the same night with one of them not being at town hall raised a few eyebrows. With more than one reader asking about the closed meetings on Thursday evening, we wanted to check in with town hall to see what they were all about. Not to worry, these meetings are definitely for a good reason. Elected officials will be interviewing candidates for Town Manager Leamon Brice's replacement. He is scheduled to retire later this year. Included will be dinner with one candidate outside of town hall. Anytime a quorum of elected officials is together talking about town business it needs to be announced as a "special meeting" if it's not on the regular schedule of meetings. It's good to see the town following the rules on this sort of thing. of initial employment of an individual public officer or employee or prospective public officer or employee; or to hear or investigate a complaint, charge, or grievance by or against an individual public officer or employee. A quorum is expected. No formal actions will be taken. For more information, please contact Town Clerk Heather James at hjames@townofdavidson.org or 704-940-9610. Davidson had two unanimous votes on Tuesday night showing solid moves towards more respect for property rights and landowners. In the first vote, commissioners voted 4-0, with Commissioner Rodney Graham recusing himself, to allow developers to fully buy out of the affordable housing ordinance requirements. Graham asked to be recused from voting because he is a developer who has built affordable housing in the past and likely will be in the future. After Tuesday's vote developers can now buy out of all of all fordable housing requirements at the reduced rate of just over $26,000 per required unit. In the past, they could only buy out of the lowest tier in the program for those making less than 50% of the area's median income. By passing this change, the town seems to have finally recognized that forcing every developer in every situation to do the same thing does not work. In the second big vote of the evening, the board voted unanimously 5-0 to approve the Narrow Passage development off of Rocky River Road. The neighborhood will be built by local developer Karl Plattner on land owned by the Mayes family for over 120 years. After more than a year of discussion, requests, and revisions - including bringing in nationally renowned rural development expert Randall Arendt - Davidson's board finally did the right thing and approved this project. Every Commissioner spoke passionately about how difficult the process had been for the Narrow Passage. There was obviously a lot of concern for how the public would perceive this vote. Commissioner Brian Jenest gave away the surprise early in the discusssion when he indicated he was a 'yes'. Jenest had been seen as the most likely swing vote by those who had watched this debate unfold. With him on board, the outcome was not really in doubt. But, in what may have been a surprise to many, Commissioner Rodney Graham also gave away early in the discussion that he now looked favorably on the project. He said that if you had asked him four weeks ago what he thought, he would likely have been leaning the other way. However, with changes that include improved efficiency standards for homes, some affordable housing on site, and a move towards achieving 70% open space in the development or making a payment to buy land elsewhere, Graham changed his mind. He genuinely seemed excited about the project. However, the evening was not without a bit of drama. The main sticking point in public hearings as well on the Planning Board and among town staff has been the desire to do a rural area plan for the entire rural area prior to approving this or any development project. To that end Commissioner Fuller put forth a motion to table the decision for five months until a rural plan could be completed. That motion failed 1-4 with Fuller being the only 'yes' vote. After it was clear, no further delay would occur. The Board voted unanimously to approve the project. On Narrow Passage, the Planning Board had previously voted 9-2 against the project. Town staff also recommended delaying firther and doing a plan first. Fortunately, town commissioners recognized there were other principles at play in this decision. Ideological purity was not the primary concern. Since all evidence pointed to the likelihood of this neighborhood being approved now, or six months from now, commissioners used common sense and made the right decision. That's what they were elected to do. Davidson will support STIP including I77 HOT lanes. At Davidson town board meeting tonight, commissioner Brian Jenest spoke about the upcoming CRTPO vote on the STIP saying he spoke for the board. He clearly said he is not inclined to vote against the STIP to make a statement against the I77 HOT lanes project. He sighted the potential loss of new roundabouts in @TownOfDavidson from the bonus (aka "bribe") money. He also misleadingly referenced the potential $100 million penalty implying that amount was solid and that the towns would be stuck paying something that large if the contract was cancelled. One Facebook poster described the roundabouts at Exit thiAt #Davidson town board meeting tonight, commissioner Brian Jenest spoke about the upcoming CRTPO vote on the STIP saying he spoke for the board. He sighted the potential loss of new roundabouts for Exit 30 in Davidson from the bonus (aka "bribe") money. He also misleadingly referenced the potential $100 million penalty implying that amount was solid and that the towns would get stuck paying it if the contract was cancelled. Upon seeing this info posted on Facebook, one reader over at Exit 28 Ridiculousness described the Exit 30 roundabouts that come along with 50 years of tolls as Davidson's "30 pieces of silver". Over the years, I've given Davidson Town Hall a fair amount of grief - OK, a tremendous amount of grief. It's not that I am anti-government, or think town hall doesn't do anything right. I just believe that transparency and fairness are bedrock requirements for good government. They go hand-in-hand. That often results in having to point out where those things may not be occurring. I recognize that can come off as a bit negative sometimes. My guess is that more than a few at town hall want to brush off what I have to say as nothing but the words of an annoying gadfly. That's why the below comments from long-time reader and friend, Pam Pearson of Davidson, needed to be given a little more attention. Pearson is an attorney herself and her comments carry more weight than anything I could say regarding Davidson's Town attorney. "On Mr. Kline, I have related my personal experiences dealing with him on Davidson issues and the jdisrespect and lack of professionalism he showed to me and others. And that's not even addressing the matters on which he advocated legal positions that had no foundation. In fairness, I expect that his "opinions" were driven, in part, by the Town Board's policy imperatives, but that's backwards thinking for an attorney who is supposed to be advising from a legal perspective. There is an ordinance in Davidson which purports to prohibit the docking of boats with more than 10 hp overnight at a Davidson pier. Some Davidson leaders wanted to keep Lake Davidson as passive as possible, and Mr. Kline came up with this "docking" strategy on the basis that Davidson has to issue a building permit for any dock being built in Davidson (Duke Energy first has to approve and permit any dock on Lake Davidson). But that is fuzzy thinking. The NC Wildlife Resource Commission has state-wide jurisdiction over the lakes, and has delegated some of its authority locally to the Lake Norman Marine Commission (LNMC). Together with Duke Energy, these entities have ALL the authority over what happens on Lake Davidson. But Mr. Kline erroneously told the Town Board that it could make an inter-local agreement with Mooresville (which has most of the rest of the shoreline of Lake Davidson) and try to ban boats with more than 10 hp. Many hours of town officials' and commissioners' time was spent on this issue, along with an unknown amount of money, for no good reason as the towns had no legal basis for acting. It is a lawyer's responsibility to tell her/his client the truth about the legality of proposed initiatives, which sometimes means saying "NO." Going along and telling the Town of Davidson what some town officials may have wanted to hear did not serve those officials nor the public. Davidson may be too small to need a full-time town attorney, but that doesn't mean it needs to employ an attorney who is in private practice which may create (as here) conflicts of interest. Other small towns in the area solve this problem by jointly retaining a town lawyer, which enables this lawyer to devote her/his practice exclusively to the representation of the municipalities. 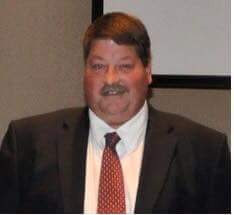 In the most recently publicized controversy regarding Mr. Kline and River Run, this situation would never have arisen had Mr. Kline not advised the River Run board, which then resulted in a conflict with his advising the Davidson Town Board on the same matter." These were posted on Facebook regarding the agenda for the upcoming Davidson Board meeting. They are reprinted here with her permission. As Commissioners continue discussions on the town attorney position, they would do well to consider what Ms Pearson has to say. We need a town attorney who will tell the board "no" when needed rather than trying to find a loophole to accomplish something that will likely wind the Town up in court - something that happens all too often here in Davidson. Per the town clerk, no previous detailed contract with the Town Attorney is in place saying "there is no other agreements/engagement letters in writing" - meaning they've been working without a net for quite some time since Rick Kline has been in that position for 39 years. After nearly 4 decades, let's hope they get it right. A packed agenda for Davidson Town Board meeting this coming Tuesday on topics we've covered here at aShortChronicle the past few months. Affordable Housing, Narrow Passage, and a closed session on a personnel/hiring issue all will be discussed. The closef session looks like it could be regarding retention of Davidson Town Attorney Rick Kline. Readers may remember that approval of Kline's contract was tucked into the consent agenda last month. It was quietly removed from the agenda at the meeting. Commissioner Beth Cashion asked via email to have it pulled pending further discussion. We hope Davidson Commissioners will think long and hard on this one. Mr Kline has been at the center of multiple real-estate related controversies involving perceived conflicts between his role as town attorney and his private practice. Issue Regarding NCGS 143-318.11(5): To establish, or to instruct the public body's staff or negotiating agents concerning the position to be taken by or on behalf of the public body in negotiating (i) the price and other material terms of a contract or proposed contract for the acquisition of real property by purchase, option, exchange, or lease; or (ii) the amount of compensation and other material terms of an employment contract or proposed employment contract. An Issue Regarding NCGS § 143-318.11(6): To consider the qualifications, competence, performance, character, fitness, conditions of appointment, or conditions of initial employment of an individual public officer or employee or prospective public officer or employee; or to hear or investigate a complaint, charge, or grievance by or against an individual public officer or employee. 'Big Solar' really likes the Senator from North Mecklenburg. That's the gist of Senator Jeff Tarte's latest campaign finance report submitted Monday, August 3rd. Tarte raised over $55,000 in the first half of this year - a hefty sum for someone in a safe seat during a non-election year. Most of that rolled in via seven $5,000 checks. The largest totals came from those clearly affiliated with the 'Big Solar' lobby. Over $17,000 in contributions came from those clearly associated with the renewable energy industry - including a $5,100 check from Jay Faison of Charlotte. Faison is a big-dog in the Charlotte business community who just announced a $175 million campaign to turn the GOP 'green'. If you are wondering why Faison's check was only $5,100 when he’s planning on spending millions, it's because $5,100 is the maximum contribution from an individual allowed by NC campaign finance law. Most of the obvious 'Big Solar' money - including the check from Faison - came from a May 7th fundraiser for Tarte held in conjunction with Congressman Richard Hudson. In fact, it looks like the only checks from that date are linked to ‘Big Solar’. However, the most interesting things are not always the most obvious. Tarte’s current finance report also includes $10,000 in donations from one Don Rainey and his spouse in the form of two $5,000 checks on June 29th.. A review of previous reports shows the Rainey’s also donated $10,000 to the Tarte campaign in June of last year – making them one of Tarte’s largest benefactors since he joined the State Senate. Rainey’s finance report information lists his occupation as ‘Venture Capitalist’ and his employer as a company called GrowTech Ventures. According to the website CrunchBase.com which tracks venture capital placements, GrowTech Ventures made a $2.1 million dollar investment in a Raleigh area firm called The Royalty Exchange in 2013. Rainey is listed as the GrowTech partner behind the transaction. SEC filings also list Rainey as a Royalty Exchange Director. Renewable energy has been a contentious issue for the Republican controlled legislature in Raleigh this session. There has been a strong move to repeal/reduce the renewable energy mandates and tax credits for power companies that operate in the state. Without those mandates they would likely not buy as much power from solar farms and other renewable energy providers. Clearly not everyone likes that idea. In response, 'Big Solar' has been pumping a lot of money and resources into campaign coffers, consultants, and even the NCGOP itself. The conservative Civitas Institute covered this in detail in a recent report – specifically siting a political consultant named Paul Shumaker as someone working to oppose reducing these mandates. • Tarte is a supporter of the RPS - Renewable Portfolio Standard. • He does not expect a separate bill on its extension. • Its retention/extension may very well be included in the budget conference report. What was the largest check from Senator Tarte paid out during the first six months of this year? $6,000 to Paul Shumaker's consulting firm, Capitol Communications. To be clear, this story is not about whether renewable energy is good or bad. It is not even about whether the state has a vested interest in supporting it. It is about providing a little transparency into how our political process and elected officials operate and where the money comes from to support it. It is up to readers to decide if that goal is being met. Roylty Exchange NC solar opportunity. Monday was the deadline for mid-year campaign finance reports. Where money comes from and flows to can often provide some interesting reading, and since NC Senate 41 Senator Jeff Tarte is a prolific fundraiser we took a quick look at his. Now, to be fair, Senator Tarte's report is not quite as interesting as Rep Jason Saine's from Lincoln County. For example, Tarte didn't spend over $19,000 on clothes like Saine reportedly did. Saine, readers may remember, is a member of ALEC's national board which means he's got to do a lot of hobnobbing with corporate big wigs, but who knew one had to dress so well when invited to those kind of dinner parties? While not anyewhere near the same league as Rep Saine's, Senator Tarte's mid-year report did show a couple of interesting ALEC related expenses however. He's now all paid up on his membership and dues with payments on 1/30/2015 and 2/18/2015 for a total of $350 dollars. There's also $1400 for a house rental when Tarte attended ALEC's Spring Taskforce Summit in Savnnah, GA in mid-May. According to Senator Tarte's campaign consultant, Larry Shaheen of Carolina Political Consulting, the Senator serves as the Chair of ALEC's Higher Education Taskforce. He attended the May taskforce meetings, but not the more recent national meetings in July. When asked about the $1400 charge, Shaheen explained that the campaign was actually saving money by renting the house rather than staying in the hotel where the meetings were held. Tarte's legislative assistant, an intern, and his wife also made the trip, so multiple hotel rooms for three nights would have cost twice as much. To be clear though, the house at 417 E Bay St dubbed Magnolia Hall wasn't exactly slumming it. Having the baby grande on hand when one travels is always nice. Shaheen says Tarte is proud of the work he has done with ALEC, and that the organization provides a forum for the exchange of good ideas rather than sticking with the failed ideas of the past. He went on to say "blanket attacks" on ALEC are nothing but attempts to advance the "liberal agenda". Despite all the grief ALEC has received on this site and others related to its toll-road lobbying, Shaheen did provide an example of something good done by ALEC which has likely benefitted this area. He said the legislation to fix Mecklenburg county's flawed revaluation process was run by the organization for its input. Readers have been wondering about the Senator's possible involvement with the American Legislative Exchange Council. I had the chance to speak with Mike Angell for the first time this evening. Angell is the sole non-incumbent running for Davidson's Board this November. Here's what he had to say on the issues of a directed vote and how he would vote if he was on the Board currently. Angell said he opposed the idea of a directed vote, taking the position that if you can't trust the person to vote the way the Board wants, then you have the wrong person in that position to represent the Board. When asked how the public would know a representative had voted the way a majority of the Board wanted, Angell said he'd be open to a non-binding vote of the Board on the issue of accepting the current TIP. 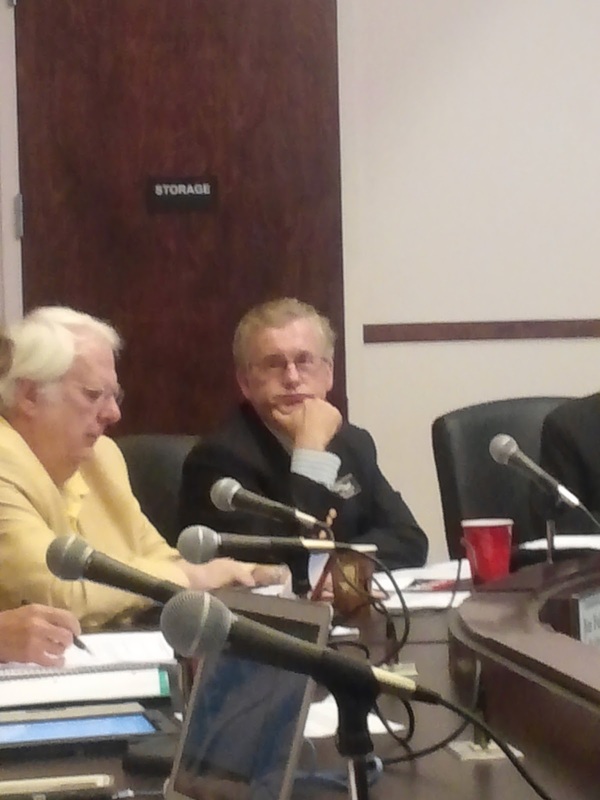 If the CRTPO rep (Brian Jenest) then voted against the Board's wishes, that would be clear. Finally, when asked how he would vote in such a non-binding resolution if he was a Commissioner, he said he would vote against supporting the current TIP if it included the current HOT project. Angell clarified that he's not totally opposed to the idea of tolls. However, he does oppose the current P3 HOT plan. He does not like the dynamic tolling process, the use of a foreign company in the P3 which takes money out of the state, the increase in passengers required from HOV-2 to HOT-3, and the use of a 50 year P3 contract for I77 versus the state managed toll proposals for other interstates in the Charlotte area. So, there you have it. Davidson's newest person on the political scene would support efforts to stop the current I77 proposal while not being completely anti -toll. The MeckBOCC Tuesday night forced a directed "no" vote on the upcoming TIP at the next CRTPO meeting August-19th. The beautiful irony of this is that Dumont Clarke is the CRTPO rep for the County. Readers will remember, Clarke had to recuse himself from a previous BOCC vote on a resolution opposing the contract due to a conflict of interest with a client. Now, he will be forced to vote against the project after a bi-partisan directed vote motion passed 5-4 Tuesday night. Davidson meets next week so it seemed reasonable to ask if its Board would be doing something similar. Here was Mayor Woods's response. To be honest, that response is not unexpected. Woods has been a valiant supporter of the I77 HOT project - riding to its defense on more than one occasion. Can the Board can be convinced to do otherwise? Send them an email at Board@TownOfDavidson.org to let them know how you feel. Davidson has a lone challenger this election season - Michael Angell. This question was posed to him as well. Check back for updates to see how commissioners/candidates respond. Update: Check most recent post for Davidson Candidate Michael Angell's position.